Glendurgan is one of the great subtropical gardens of the South West. 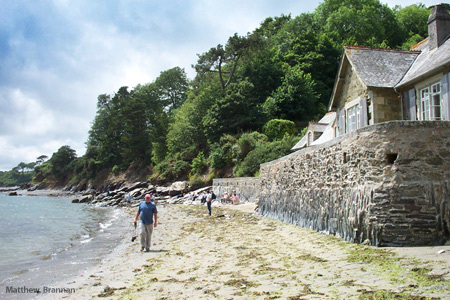 Set in a wooded valley dropping steeply to the hamlet of Durgan on the shore of the beautiful Helford Estuary. 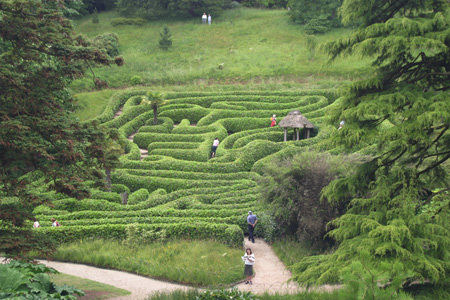 The garden is best known for its laurel maze, planted in 1833 and a firm favourite with children. Glendurgan Gardens has a cafe/restaurant adjacent to the main entrance to the gardens opposite the car park. 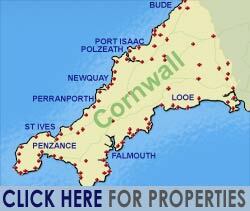 Directions: Glendurgan Garden is 4 miles south west of Falmouth and 0.5 miles south west of Mawnan Smith. Trebah Gardens are located just a short distance from Glendurgan, offering all year round colour in 25 acre sub tropical garden, with water gardens and water falls. 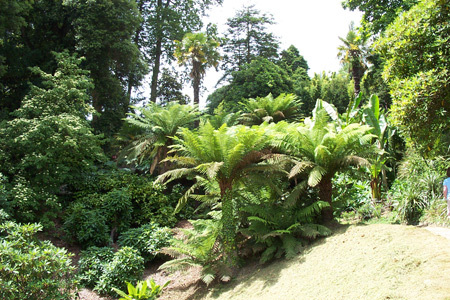 Trebah is best known for its glades of 100 year old Tree Ferns and 18 feet high giant Gunneva (rhubarb). Rolling canopy of Rhododendrons over 2 acre valley of blue and white Hydrangeas leading down to a private beach open to visitors. Children's play area and trails, coffee shop seating 65 and garden and plant shops. 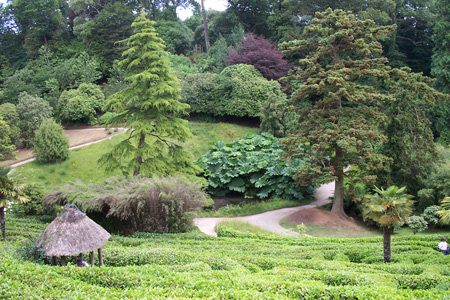 Glendurgan Gardens, are set in a wooded valley near Mawnan Smith. The gardens drop steeply as you follow the valley down to the hamlet of Durgan on the shore of the beautiful Helford Estuary. Glendurgan is one of the great subtropical gardens of the South West. Exotic trees and shrubs flourish amidst open glades carpeted with wild flowers. The warm microclimate of the Helford Estuary area enables the garden to support a wide range of exotic trees and shrubs. Glendurgan began its life as a private garden nearly in 1820's by Alfred Fox. The Fox family steadily increased the scope of the garden at Glendurgan, importing numerous new and exotic species over the decades, until, the garden was handed over to the National Trust in 1962 - to preserve this national treasure for future generations. During the spring camellias, azaleas, magnolias and wild flowers grow in colourful profusion throughout the garden, with Hydrangeas, aquilegias and foxgloves coming into flower during the summer months. 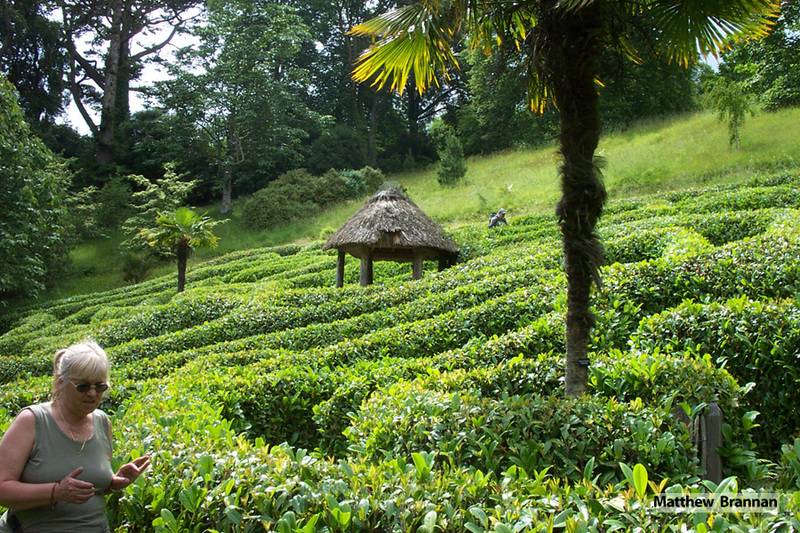 Glendurgan's famous laurel maze of 1833 and Giant's stride are two key features of the garden that are particularly popular with children. The garden is at its best in the springtime, when, like so many of the spectacular Cornish Gardens, the camellias and rhododendrons are in full bloom; their colourful petals contrasting sharply against their backdrop of deep green leaves, in a vista framed by tropical palm trees, tree ferns and bamboo. The paths and trails that wind their way through the valley, are subtly accented with colourful woodland plants, as the primroses and blue bells burst through to form their attractive floral carpets. The summer months bring the gardens 'rain forest glen' into perfection. A kaleidoscope of foliage creating a vibrant mixture of green hues in an almost primeval setting; the enormous growth of the tropical palms and ferns acting as sentinels in a world that could have existed at the start of time. 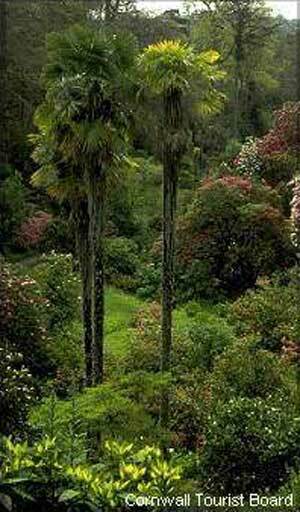 This is a garden where you wander down trails through stands of English deciduous trees such as oak, lime,sycamore and beech; then into a semitropical zone with its exotic palms, tree ferns and sun lit clearings with exotic ponds. 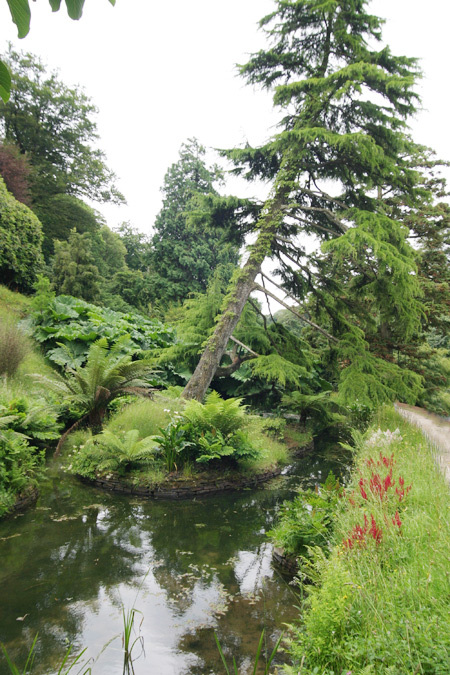 A stroll through the lush growth at Glendurgan will eventually bring you to Glendurgan's maze of laure.. The grounds at Glendurgan hold a myriad of subtropical valleys, where enchanting trails gradually reveal this 25 acre garden of delights; like the Cherry Orchard, Camellia Walk and the Valley Head. 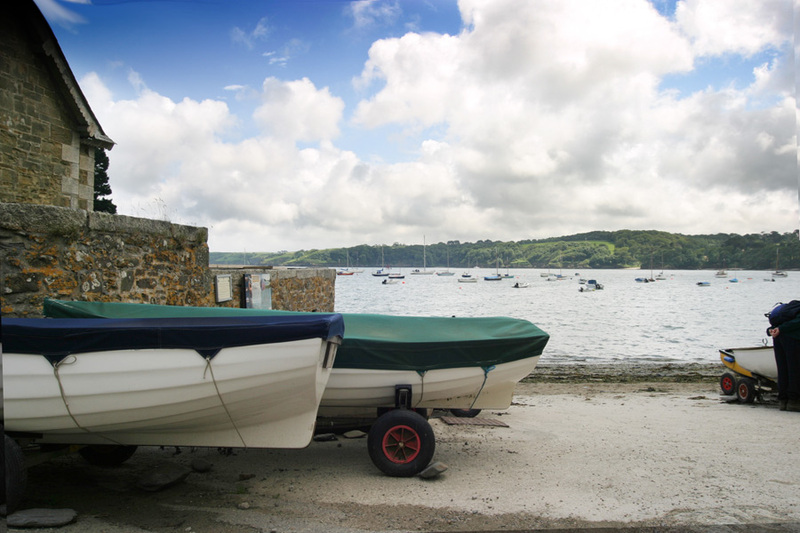 During your stroll through the gardens, you can follow the path down to the beautiful hamlet of Durgan on the Helford River.